Good day lovely spuds and spudettes, we’ve come bearing very exciting news! As most of you may already know, Holy Potatoes! We’re in Space?! Is now FREE TO PLAY — up until the first galaxy, that is! That’s right, tell your penny-pinching friends that they’re out of excuses! They can now have a taste of the potatoverse FOR FREE! 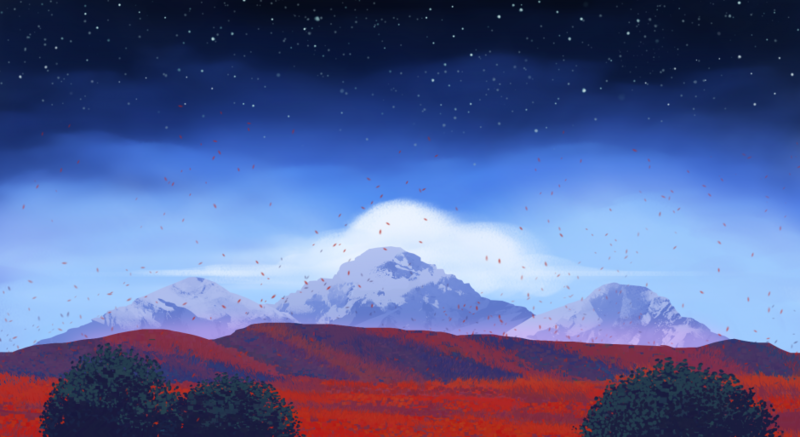 In this demo version players dive right into the beginning of a galactical space adventure with Cassie and Fay, two spunky sisters who embark on a quest to save their missing grandfather, Jiji! Play through our very first galaxy (‘Curiosity killed the…’) where you hunt down a warping Space Cat and meet Helmet Nezingswary, a great hunter who is vying for the same furry prize! Engage in heart-thumping battles, manage a plethora of flavorful crew members, and craft unique weapons to suit your play style! Just hop on over to our Steam page and click on the download button to journey where no potato has ever gone before! Finished the demo and want more? 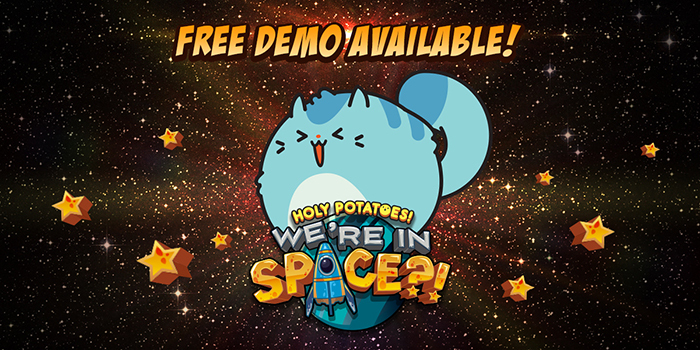 Head on to the full game and enjoy the sweet new stuff we’ve added to Holy Potatoes! We’re in Space?! Finally, the long-awaited update that includes Couch Potato (Casual) Mode is here! That’s right, infinite sols, baby! \o/ Spend your newfound free time zipping around the galaxy grinding for resources and weapons — the possibilities are as endless as your sols. Mochi is now available as a pilot! As mentioned in the previous Behind the Spud post, she comes with an all-new set of skills, ready to be deployed on your enemies to kill them with cuteness. Last but not least, we hope this patch added lots of new features that you spuds will enjoy! BUT if you have an amazing, life-changing, spudtacular new idea for the game, get to writing and post a reply to our Suggestions thread on Steam! We welcome all suggestions for improvements to HPWIS — we’re committed to making the gaming experience fun and frustration-free for all! Play through the tutorial to learn more about Jiji and his fight against Astral Premier Hal! Explore the first Galaxy, ‘Curiosity killed the…’ and see what Helmet Nezingswary is up to! Try to befriend the adorable Space Cat, Mochi! Manage and hire vegetastic crew members! Enjoy all main features in the game, such as crafting, training, research and therapy! There are now more Random Encounters added into the pool! Look out for them! Couch Potato (Casual) Mode Added! In this mode, you can now play endlessly in each Galaxy for as long as you’d like before proceeding to the next Galaxy! Achievements will not be unlocked in this mode, though! Fixed an issue causing Repair Crews and Guardian Angel to trigger even after all Encounters rather than only after Combat Encounters, as the Research’s text suggests. Fixed an issue causing UI during combat to act strangely at times. Fixed various text issues in all languages. Thank you for taking the time to read through this week’s Behind the Spud! Follow us and anything Holy Potatoes! with the following links!